Supporting breastfeeding contributes to a company’s ability to retain valued employees after childbirth, as well as add to their return on investment (ROI). Here are a few tools and resources to help you and your business get started! 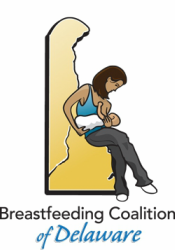 The Centers for Disease Control and Prevention (CDC) has recommendations to help employers Support Breastfeeding in the Workplace. Learn more about how to set up a comprehensive lactation support program for nursing mothers at the worksite with this toolkit. The Business Case for Breastfeeding from WomensHealth.gov is a comprehensive program designed to educate employers about the value of supporting breastfeeding employees in the workplace. The U.S. Department of Labor compilation of compliance assistance materials on the Break Time for Nursing Mothers provision of the Fair Labor Standards Act.